The nation debate of of sprawling metro areas is well publicized. Nowhere is this more evident than in Las Vegas. Home to three of the fastest growing cities in the counrty. 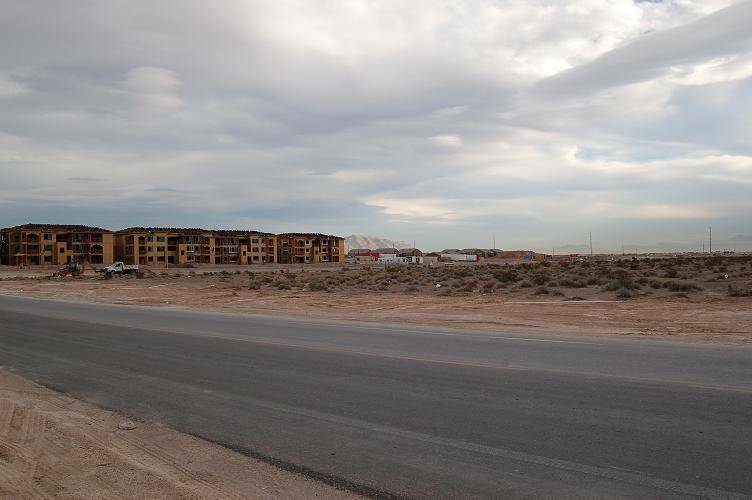 Las Vegas, North Las Vegas and Henderson are growing at breakneck speeds. 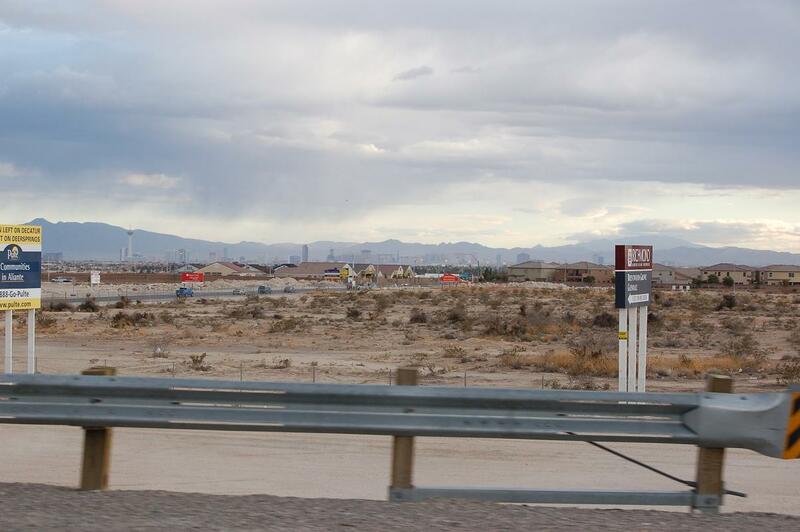 Most of this growth is gated communities and large tracts of single family homes that are suburbanizing the desert. 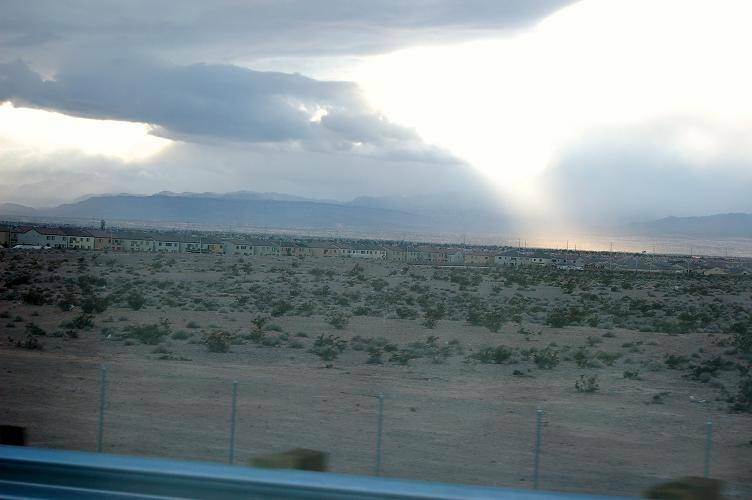 With the ever present water crisis hounding Nevada, California, Arizona is there no end in sight. The Lake Mead resevoir water level is dropping and now it looks as if the water restrictions aren't enough. What if anything can be done. Here are some pics of the encroachment in North town. 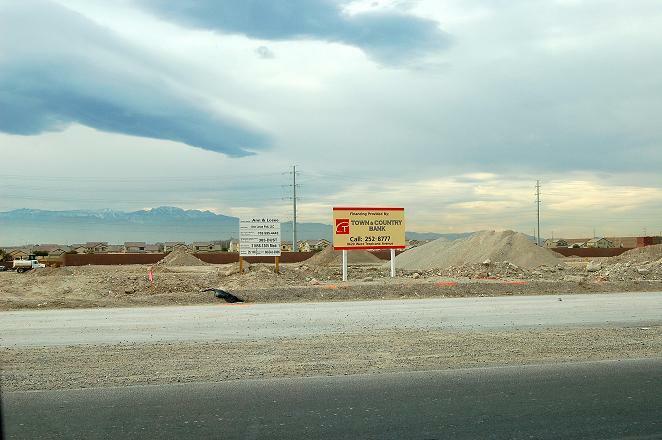 Housing is exploding north and west of Losee reaching the newly constructed I-215 which in a few years will be chocked with traffic like the 15 and most major arterials are now. Feel free to add your comments on this debate as I add pics from time to time. My thoughts are that I don't like sprawl.But at least these are dense developments. However there is not enough water to sustain this growth. 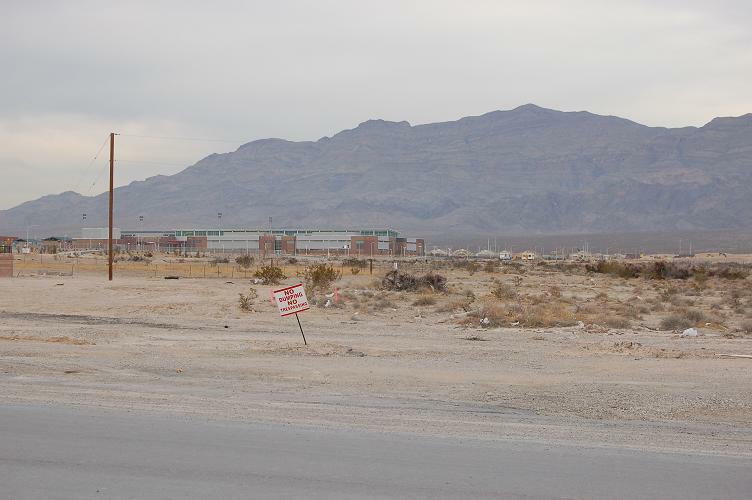 Not only that as soon as a school gets built it is overcrowded and no wonder that Nevada(Clark county) school system ranks near the bottom of the nations academic polls. I wonder how long it will take for all of the Californians lose the love affair with Nevada and leave this state with some tuff choices to make. I will add more pics as I get them. 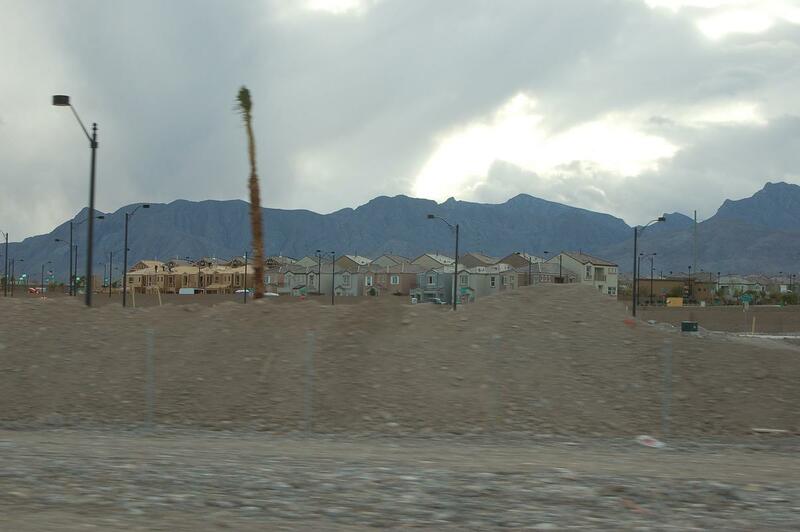 This is just the growth on the north side of Vegas. 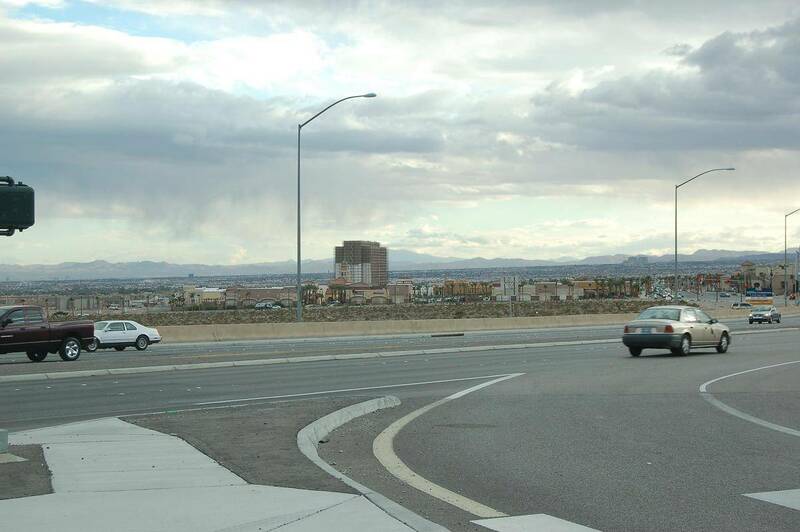 In the near future N. Las Vegas will need another east-west Blvd. to supplement Craig. Wow it's amazing how much that looks like Phoenix. Do you know any current population#'s for the area there? I know Nevada has been growing at breakneck speeds. I was under the impression that a slowdown was occuring though, and that Vegas was almost tapped out on resources. I'm not sure about official stats. I would have to look that up but I know the growth rate for Nevada is around 3-3.5 percent for a one year period. I think the metro is 2.3 mil and growing...One more thing to consider is there is talk of mall in the North Las Vegas area. I can only imagine what that will do to the already inflated housing prices. 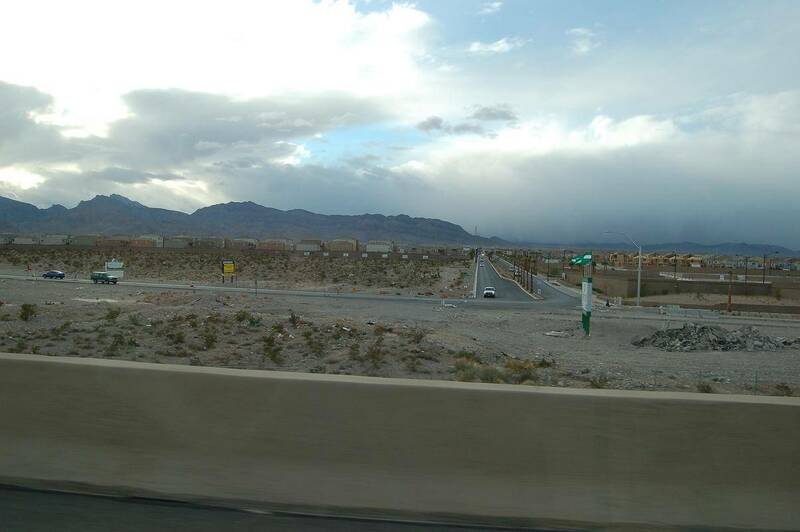 I have more pics of the "Incredible sprawling Vegas" that I will post soon. Do you think this will be a good thing for the state? All the development and the water crisis? Think they find a way with all the people moving in? 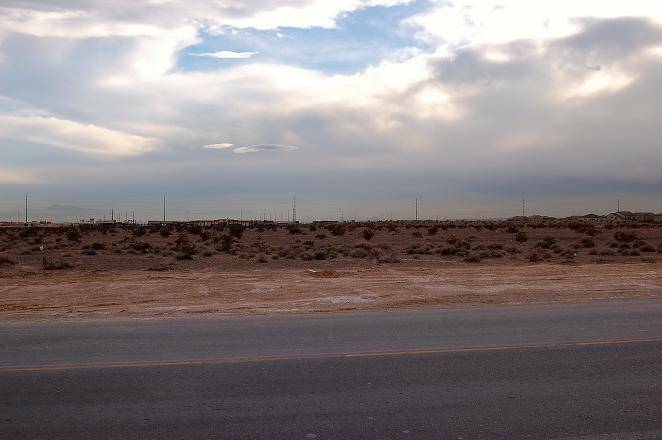 I can't for the life of me figure out why anyone would want to live in that god-forsaken desert. 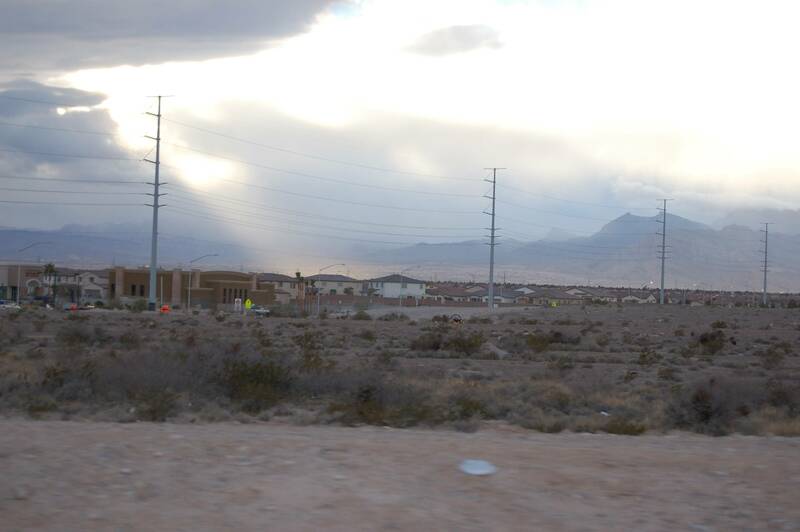 Vegas is about the ugliest landscapes I've ever seen, and even the mountains are unattractive. The only thing I can think of is cheap housing and plentiful jobs (because of the land rush for cheap housing), but once the cheap housing vanishes, I can't see people willfully moving to that area. Well the winter climate has alot to do with it. I can't speak so much for Vegas, but I can for Phoenix. The landscape is more brown, but it is very unique. Once you get used to the desert, and once you see it when in bloom, with flowers everywhere. You get a different opinion on it. However Eight months of 90+ temps definately can take a toll. I know for Phoenix itself water supplies are only a minor issue. The supply I have heard could sustain somewhere around 10million people. Though I know Las Vegas is essentially tapped out or close to it. Is there any sense of reality re. the water situation? From what I have read on the subject, a great reckoning lies not far in the future. How does Las Vegas intend to sustain this incredible growth? It would make more sense if they were to limit green space and the endless lawns and golf courses, but I have seen little of this actually happening. 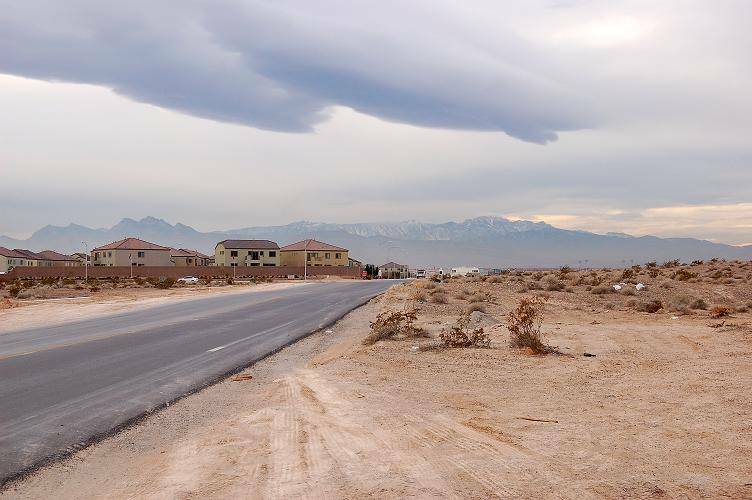 Is Las Vegas' future as dry and crusty as the doomsday folks claim? There is a big fight between southern Clark county and counties in the north over water. Basically the norhtern sourrounding counties want to block Clark from building pipelines to water sources. What Clark county officials say is that these pipelines would supplement the Colorado river and Lake Mead. Of course LA, and Arizona draw water from the Lake which the officials here cite as the reasoning for the new pipelines. I remember going out to Hoover Dam on a trip in Vegas as seeing the thousands upon thousands of single family homes that all looked the same. All had red roofs with sand colored walls. Not to get off topic, but that's a cool shot. You never see vegas from any angle than a certain one headed down the strip. I really need to get up there. Here are some numbers on the population explosion for Las Vegas. These stats are just for the city of Las Vegas the metro has a pop. of 1,886,486 and growing quickly. Look for that blue diamond number to increase as the roads continue to get impoved up that way.